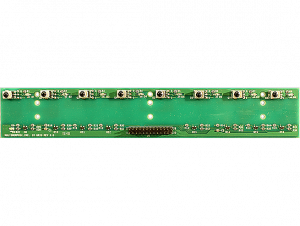 The RGB Strip x12 board provides a single row of LEDs, all of which turn on to the same color based on the input color control lines. 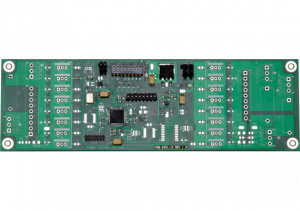 1) Power 2) Red Control Line 3) Green Control Line 4) Blue Control Line 5) Ground (unused) 2 2-pin 0.156″ headers are available as separate power inputs: 1) Power 2) Ground Power can be 3.3v or 5.0v. 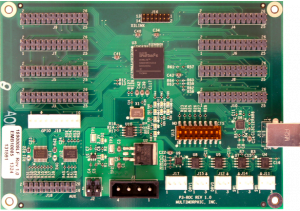 While there are multiple connectors on the board, power should come in through only one of the connectors. 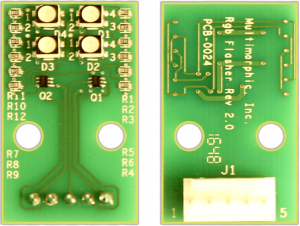 Both power and control lines can be chained to other boards by using the secondary connectors. 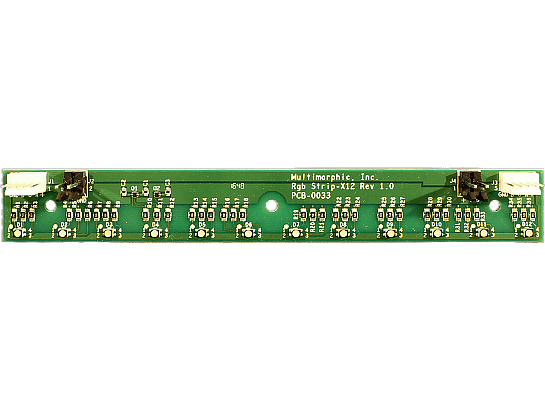 This board is 7 3/8″ long with LEDs spaced every 5/8″.